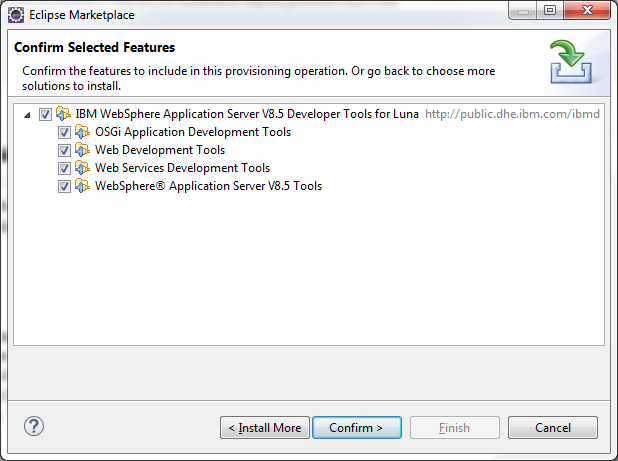 IBM recently released the WebSphere Application Server V8.5 Developer tools for Eclipse. 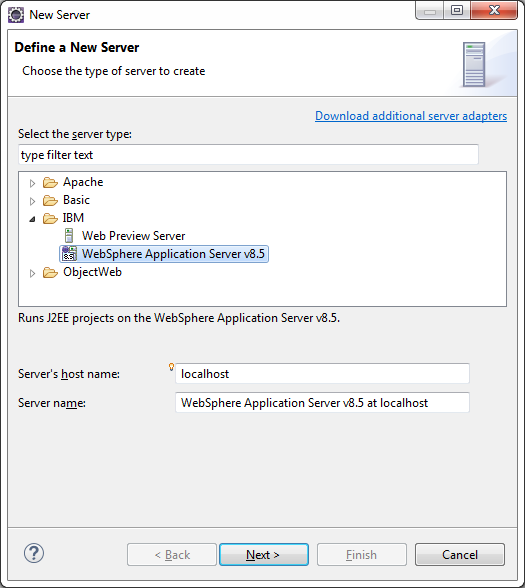 This Eclipse plugins enables to build and deploy applications directly on your local WebSphere instance without the need of IBM Rational Application Developer (RAD). The support for newer versions is kind of dull. When new eclipse versionsa released it could take a while till the WAS Developer Tools support this eclipse version. 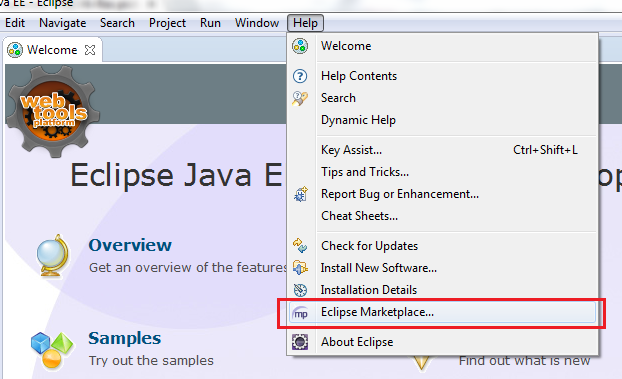 Currenty Eclipse versions up to Eclipse Luna (Java EE Developer Edition) are supported. Download the approperiate Eclipse package from www.eclipse.org. 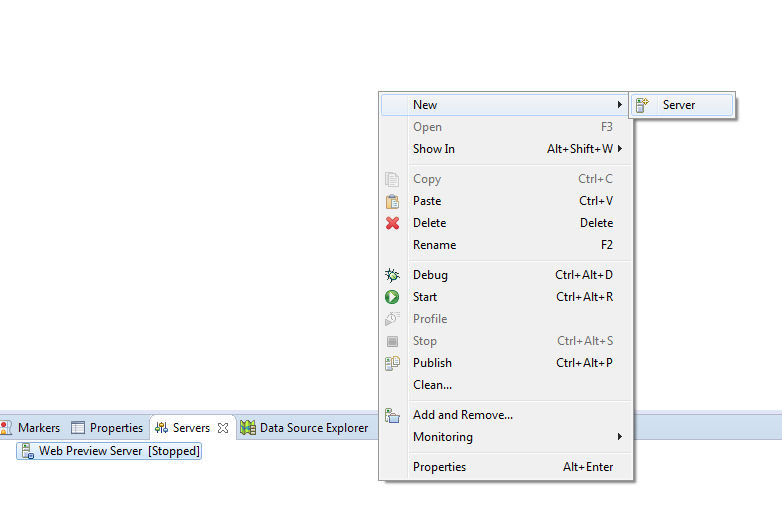 Unzip the zip-File and launch Eclipse by clicking the eclipse.exe and choose a workspace location. and locate "IBM WebSphere Application Server V8.5 Developer Tools for <your Eclipse version>" in the search results and click "Install". Eclipse will calculate some dependencies - which can take a while. After that click "Confirm" and Eclipse starts downloading and installation die WAS Developer Tools. 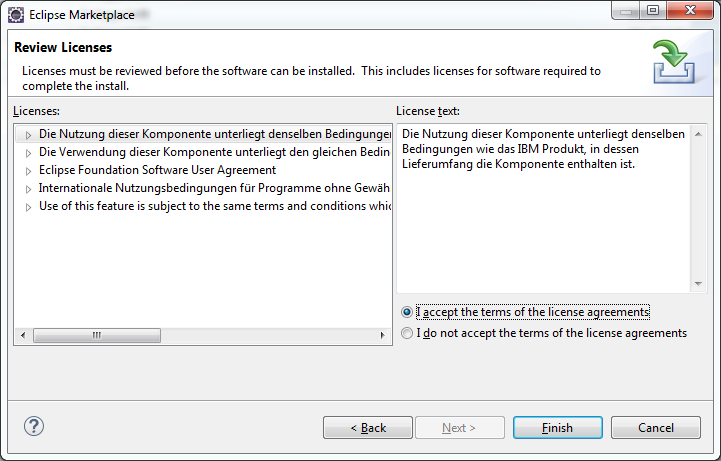 Before the installation goes active you have to Confirm the licence agreements. After the installation process finishes, restart Eclipse. 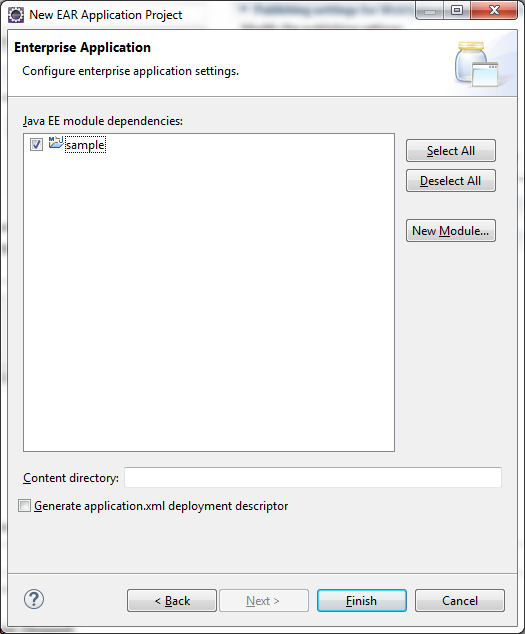 Specify the WebSphere installation root (not the profile root) and choose the jdk level. 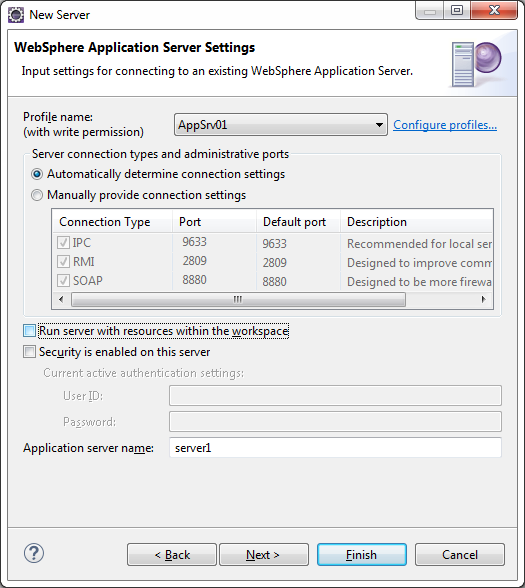 Select the WebSphere profile to use. 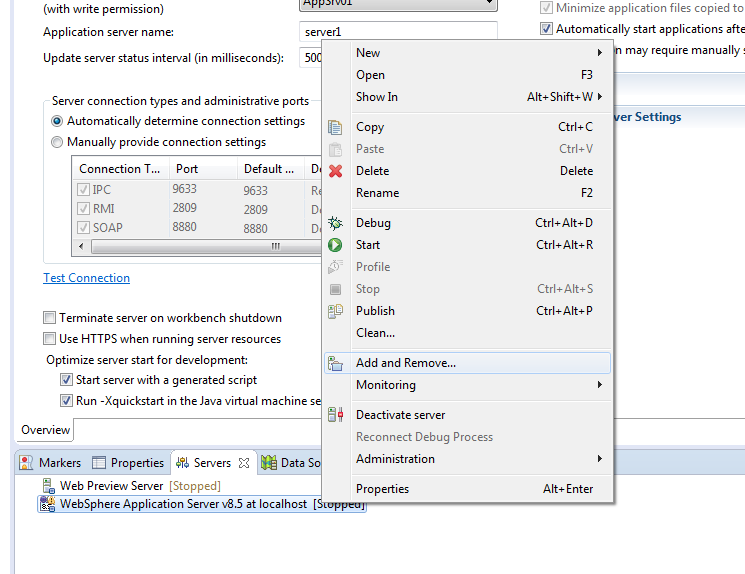 Deselect "Run server with resources within the workspace" - this option causes trouble sometimes. If you have security enabled specify the approperiate credentials. Eclipse now generates a new server entry. By double clicking it, the properties can be edited later. WAS Tools only accept EAR-Projects as deployable artifactes - so you have to wrap plain war-projects into a "Enterprise Application Project". In the Enterprise Explorer click New > Project > Other. 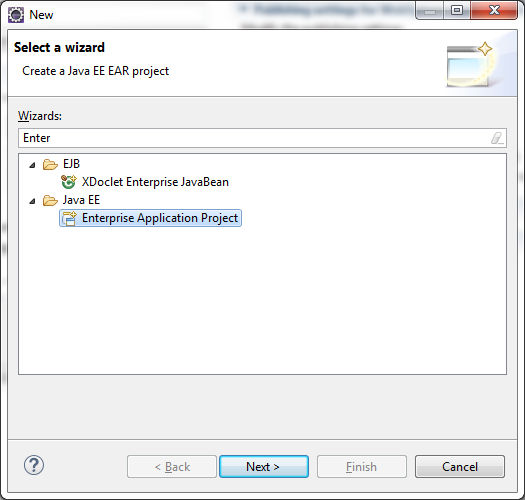 Search for "Enterprise Application Project" (under Java EE). 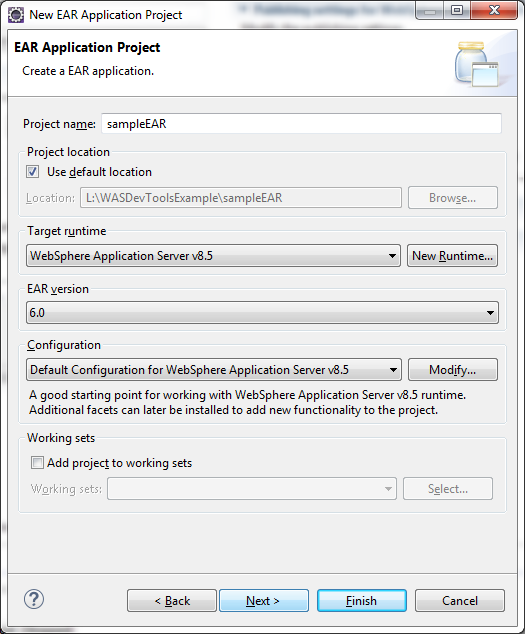 Specify a new for the EAR-Project and select the Target runtime (aka server). 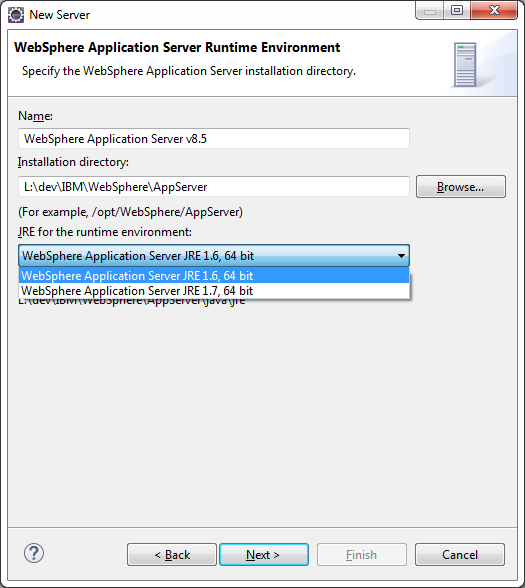 The WAS Developer Tools will automatically "optimize" the packing if you chose the WebSphere options here. Click Next. Select the project which will be wrapped into the EAR-Project and click Finish. Eclipse generates the new project. 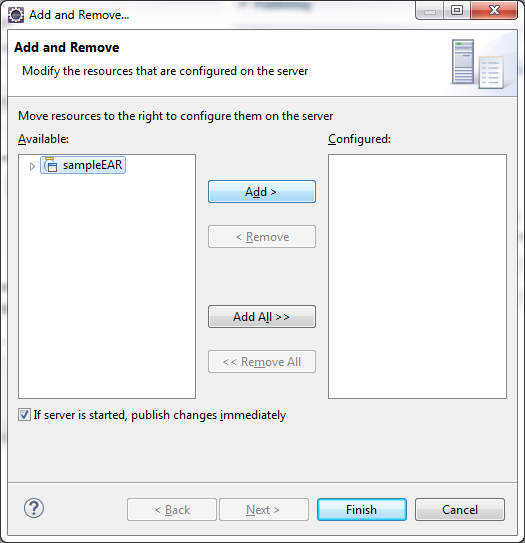 The project can be added to the WebSphere server by right clicking the Server in the server pane and selecting "Add and Remove". This is a best article for those readers who want to learn how to install web sphere app. 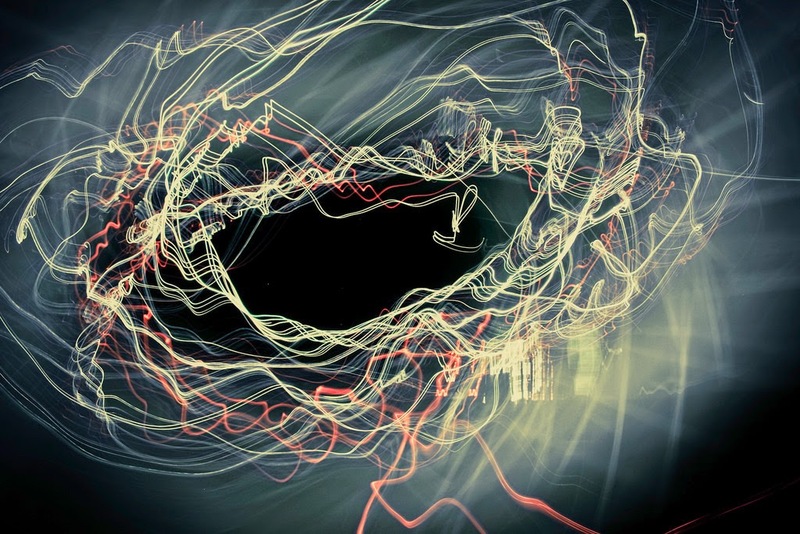 Reader can easily understand the process through images.